The Hull PorchFest Schedule has been announced. 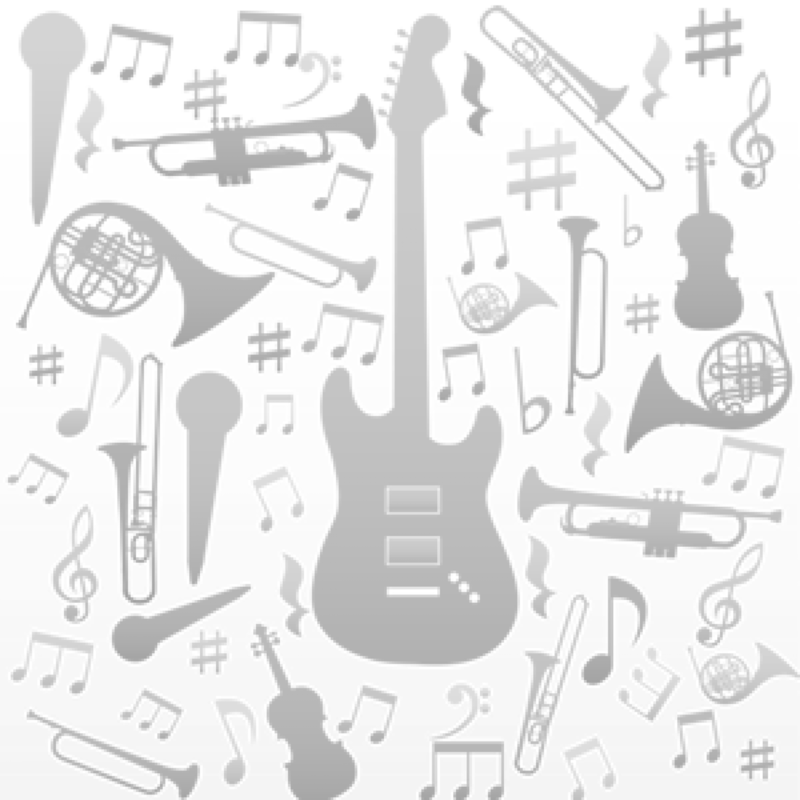 Click any of the links below for a printable PDF of the Hull PorchFest schedule sorted by start time, location, Genre or Performer. Hull PorchFest is proud to announce four vendors will be at the official Hull PorchFest selling food during our event. 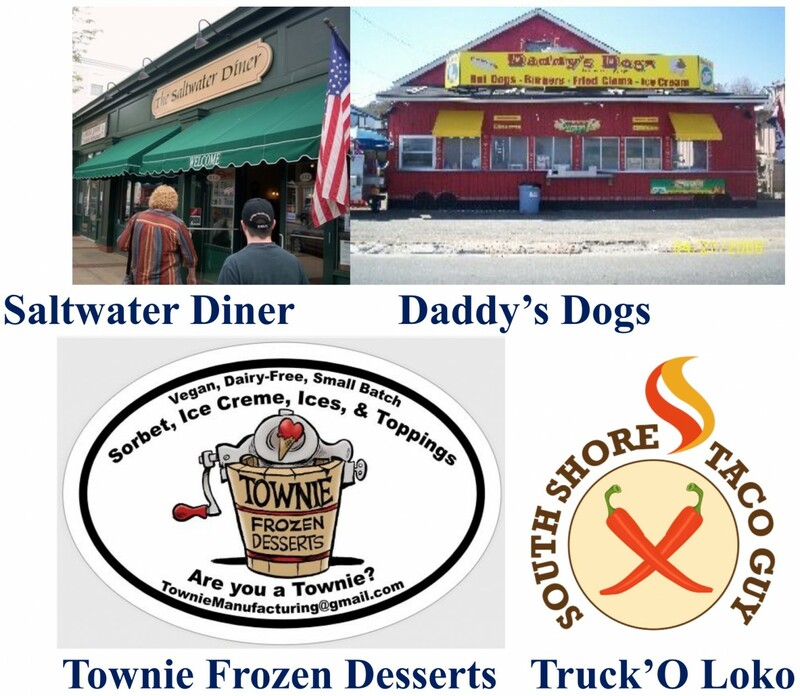 Daddy’s Dogs, Townie Frozen Desserts and South Shore Taco Guy will be located at the municipal lot at Kenberma St and Nantasket Ave, which will be closed to parking. Saltwater Diner is on the other side of the block and they’ll also be selling food during Hull PorchFest 2018. Daddy’s Dogs and Townie Frozen Desserts will be selling food during the entire event. The South Shore Taco Guy will be there from Noon to 3:00. The Hull PorchFest central tent and Portable toilets will also be located in the Kenberma Street Municipal Parking lot. 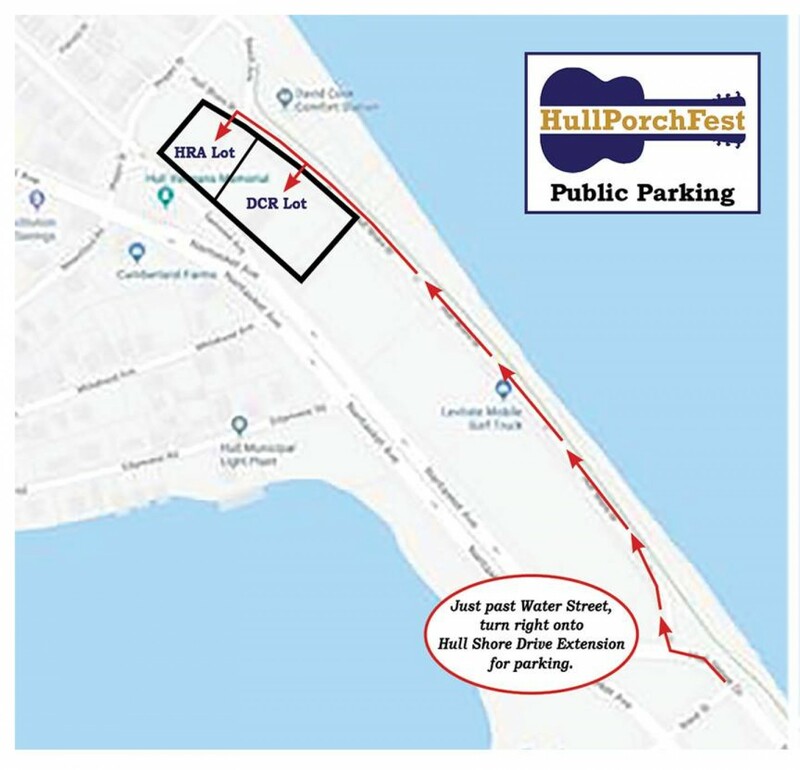 Hull PorchFest has arranged for designated parking area for festival attendees. As you enter town watch for Hull PorchFest yard signs directing drivers toward the parking area. As you enter town and proceed northbound on Hull Shore Drive, look for Hull Shore Drive Extension on your right, just past Water Street and Nantasket Resort. Turn right and drive along Nantasket Beach and see entrances for parking on the left. There are two lots, the DCR lot (paved lot) and the HRA lot (grass lot). The DCR lot is free and first come first serve. The HRA lot will be a paid lot, with fee based on demand. Hull PorchFest has hired the “Hull-O-Trolley” to transport attendees to designated stops on Nantasket Ave close to the “porches”. See this web site for further details. 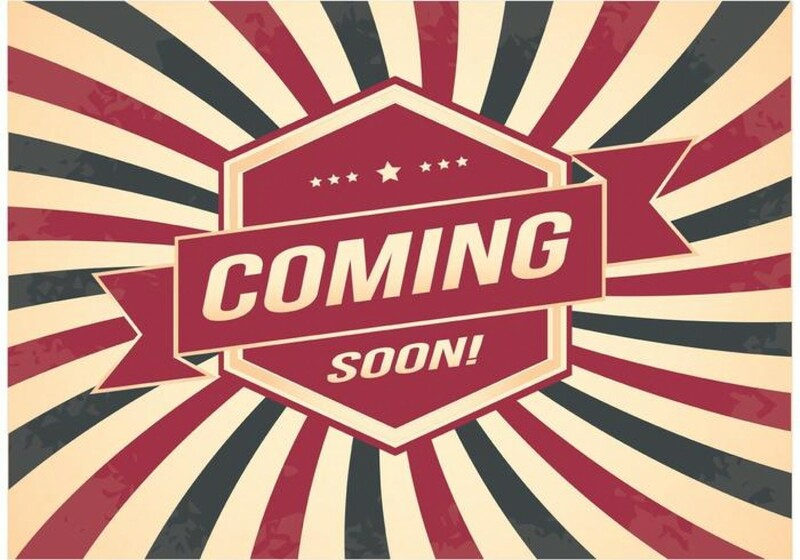 Food vendors, sanitary facilities, first aid and our central tent will be located at the municipal parking lot at Kenberma Street and Nantasket Ave.
Expected wait times: No longer than 15 minutes. Trolley will pick up both northbound and southbound. W Street @ Nantasket Ave.
Stay tuned! We are going to post the official Hull PorchFest 2018 Schedule and Porch Listings on the morning of Sunday, September 2nd. Hull PorchFest is one month away! 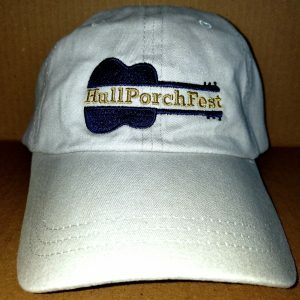 Hull PorchFest 2018 is EXACTLY ONE MONTH AWAY! Hull PorchFest Inc. (“HPF”) is very pleased to announce the generous support of Hingham Institution For Savings as a sponsor for the first annual Hull PorchFest. 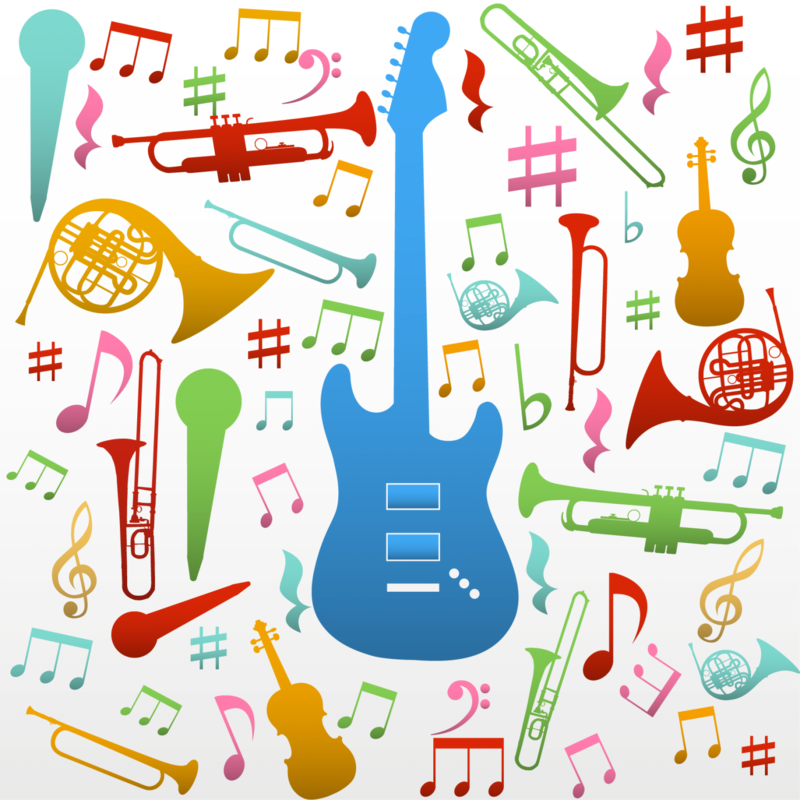 We would like to thank specifically Jinnie Walsh, H.I.S.’s Hull Branch Manager, for her support of Hull PorchFest and for helping to make this all happen. Thanks also goes out the AVP – Marketing, Maggie McInnis for her support as well. 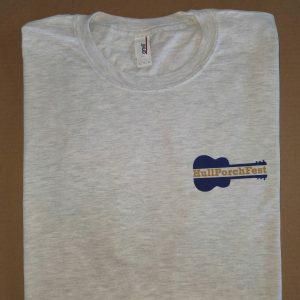 Hull PorchFest Inc. is a separate MA-registered not-for-profit company that will be funded additionally through merchandise sales, other sponsorships and tax-deductible donations. 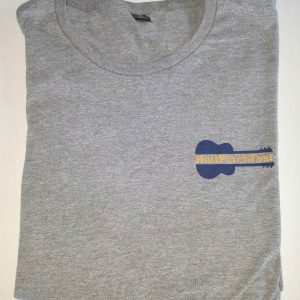 Hull PorchFest, a one-afternoon music and arts festival, was inspired by the many successful music festivals staged in MA communities (and beyond) to bring citizens together in a new and fun way. Local bands and performers will play music on porches, driveways, front yards and on other unique performance sites in Hull’s Kenberma shopping district and adjacent neighborhoods…and possibly beyond! 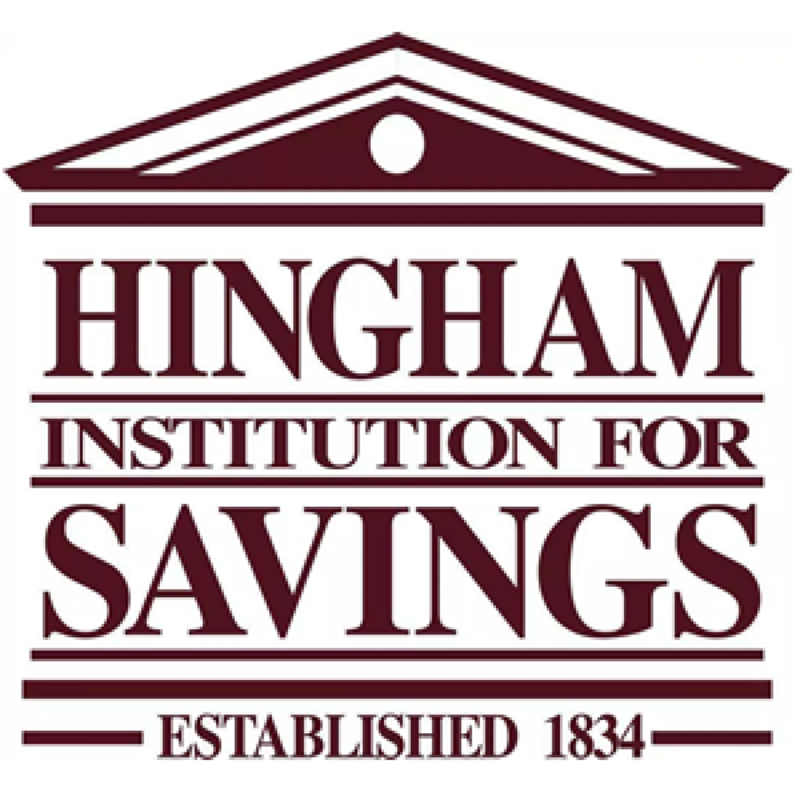 Incorporated in 1834 by act of the Massachusetts Legislature, Hingham Institution for Savings is one of America’s oldest banks. We are proudly independent and remain committed to preserving and expanding the legacy established at Hingham. H.I.S. enjoys deep, long-term relationships with many of our customers – we are quite literally invested in their success. Many of our customers are also long-term shareholders in the Bank and we know them from our active participation in the civic life of the communities in which we operate. They are our neighbors and friends, as well as our partners and customers. In our 184th year of business, we have every intention of continuing to earn the trust they have placed in us. If you are not already a customer or a shareholder, we invite you to stop by to meet us. Hull PorchFest Inc. (“HPF”) and the Hull Nantasket Chamber of Commerce (“the Chamber”) are pleased jointly to announce an agreement for the Chamber to function as HPF’s primary sponsor for the first annual Hull PorchFest. The first of its kind event in Hull is scheduled for Saturday September 8, 2018. The Chamber will provide funding and marketing support while HPF will have responsibility for planning and production. 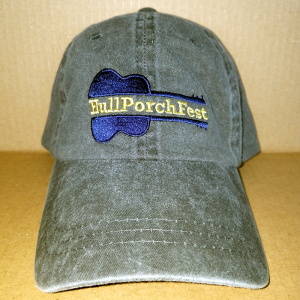 Hull PorchFest Inc. is a separate MA-registered not-for-profit company that will be funded additionally through merchandise sales, other sponsorships and tax-deductible donations as it operates under the agency of the Chamber’s federal 501c6 non-profit designation. 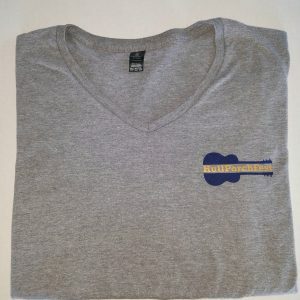 The Hull Nantasket Chamber of Commerce has been an advocate for and representative to its members as well as an active promoter of the community since its founding in 1927. Today, the Chamber boasts more than 100 members representing a cross section of our seaside community and beyond. Members include entrepreneurs, retailers, service providers, non-profit organizations, museums, artists, restaurants, entertainment venues, lodging establishments, professional trades and home services, media, financial institutions, marine services, medical services, and much more. Can you keep me updated about Hull PorchFest? Please join our mailing list to stay up to date. Keep informed about new performers, schedule updates, and other announcements. We will try not to email you too often and will not sell or provide our email list to anyone else. You've successfully joined the HPF mailing list! Hull PorchFest was inspired by the many successful music festivals staged in MA communities (and beyond) to bring citizens together in a new and fun way. Local bands and performers play free sets on porches, driveways, front yards and on other unique performance sites around town.. September 8, 2018 will bring the inaugural Hull PorchFest to Hull's Kenberma shopping district and adjacent neighborhoods...and beyond! 2018 © Hull PorchFest - A MA Not-For-Profit Corporation. All Rights Reserved.